With less than a week to go for the first phase of the crucial General Election on 11 April, top BJP and Opposition party leaders continue their campaign blitzkrieg. On Friday, Prime Minister Narendra Modi will hold election rallies in Uttar Pradesh's Amroha and Saharanpur along with Uttarakhand's Dehradun. Congress president Rahul Gandhi will address a public rally and hold an interactive session with students in Maharashtra, reports said. He is scheduled to interact with students in Pune, after which he will be addressing rallies in Chandrapur and Wardha. 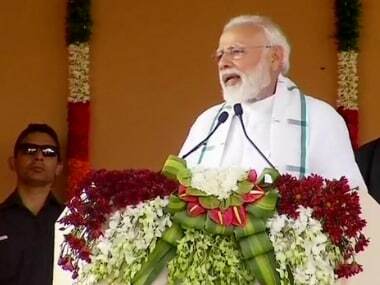 Modi had held a rally in Wardha last week and slammed the Congress-NCP alliance in the state during his speech. 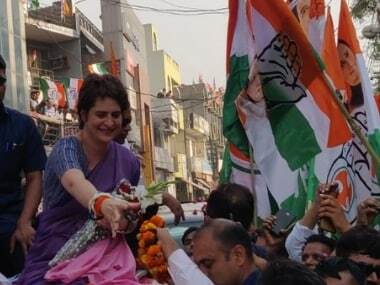 BJP president Amit Shah is scheduled to campaign in Arunachal Pradesh's Bardumsa, Manipur's Thoubal and Assam's Jagiroad while Congress general secretary Priyanka Gandhi will be present at an event in Uttar Pradesh's Ghaziabad in support of Congress candidate Dolly Sharma. West Bengal chief minister Mamata Banerjee will also be holding a rally in Assam's Dhuburi and West Bengal's Naxalbari. All of the TMC chief's speeches will be streamed live on her Facebook page, reports said. Uttar Pradesh chief minister Yogi Adityanath is expected to reply to the Election Commission (EC) over the reference to the Indian Army in his "Modi ji ki sena" comment. The EC issued a show cause notice to Adityanath for the remark he made during a poll rally at Ghaziabad earlier this week. 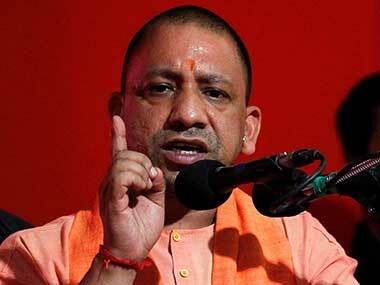 Sources in the poll panel told PTI, prima facie, Adityanath has violated the EC's advisory of keeping armed forces away from the political campaign. The EC took the decision based on a video clip submitted by the Ghaziabad district magistrate which shows Adityanath making the remarks at the election rally on Sunday. Adityanath, who addressed election meetings in Ghaziabad and Greater Noida on Sunday, had lashed out at the Congress for what he called was its "soft approach towards terrorism and terrorists". 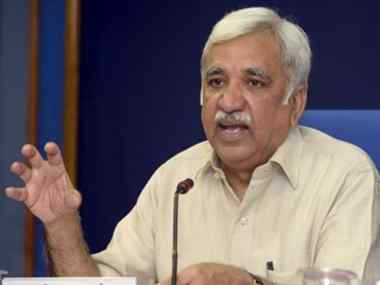 The EC had on 19 March asked political parties to "desist" from indulging in any propaganda involving actions taken by defence forces during their Lok Sabha poll campaigns. The advisory was issued days after the poll panel asked parties and their candidates against using pictures of defence force personnel in their campaign material. Veteran BJP leader LK Advani said on Thursday that his party has never regarded those who disagreed with it politically as "anti-nationals" or "enemies" but only as adversaries, remarks which come at a time when top BJP leaders have used anti-national barbs against political rivals on the issue of national security. Advani, who has been replaced by party president Amit Shah in the Gandhinagar Lok Sabha seat, wrote a blog titled 'Nation First, Party Next, Self Last' ahead of the party's foundation day on 6 April, in which he said, "The essence of the Indian democracy is respect for diversity and freedom of expression." 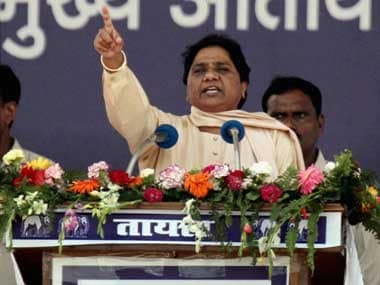 In the blog, written almost five years after he posted the last piece on its web page, the 91-year-old leader said, "Right from its inception, the BJP has never regarded those who disagree with us politically as our 'enemies', but only as our adversaries." "Similarly, in our conception of Indian nationalism, we have never regarded those who disagree with us politically as 'anti-nationals'. The party has been committed to freedom of choice of every citizen at personal as well as political level," he added. Reacting to Advani's blog post, Modi tweeted, "Advaniji perfectly sums up the true essence of BJP, most notably the guiding Mantra of 'Nation First, Party Next, Self Last'. Proud to be a BJP Karyakarta and proud that greats like LK Advaniji have strengthened it." Christian Michel, the alleged middleman arrested in the AgustaWestland VVIP choppers deal case, is understood to have identified the initials "AP" as Ahmed Patel in a chargesheet filed by the Enforcement Directorate (ED) before a court on Thursday. The agency, in its supplementary chargesheet filed under the Prevention of Money Laundering Act (PMLA), said "a part of kickback was paid to defence officials, bureaucrats, mediapersons and important political persons of the ruling party" when the deal was being struck. The chargesheet said according to the "budget sheet, 30 million euros were paid to Air Force officers, bureaucrats and politicians" to swing the deal in the favour of AgustaWestland for purchasing the choppers to ferry VVIPs across the country. "Christian Michel James has further disclosed various abbreviations used in the budget sheet, which contains the details of the payments made to Air Force officials, bureaucrats and political persons. "The recipients of the kickback include several categories of persons namely Air Force officials, bureaucrats including defence ministry officials and top political leaders of the then-ruling party. As per Christian Michel James, 'AP' means Ahmed Patel and 'Fam' means Family," the ED said. Javed Akhtar says it was unfair on PM Narendra Modi producers part to rehash his old song and put his name in the credits on the film's poster when he hadn't even worked on the remake version. On 22 March, Akhtar took to Twitter to say that he had not written any songs for the Vivek Oberoi-starrer and was "shocked" to find his name on its poster. Akhtar, in an interview with PTI, said the practice was against "basic honesty". "Nowadays, it has become a frequent practice that people buy rights of a song from an old film. They re-record it and use it. This is not fair," Akhtar said. Amid uncertainty over future of Jet Airways, the consortium of SBI-led lenders on Thursday said bids for selling stake would be invited on 6 April and other options would be explored in case the stake sale efforts do not result in an "acceptable outcome". The expressions of interest for selling stake in the ailing airline would be invited on 6 April and the last date for submission of bids would be 9 April, a statement issued by the SBI on behalf of 26 lenders said. SBI is the lead lender to Jet Airways, which has a debt burden of more than Rs 8,000 crore. Royal Challengers Bangalore hope to end their hunt for their first win of IPL 2019 in their fifth match of the tournament when they host Kolkata Knight Riders at the M Chinnaswamy Stadium on Friday. RCB suffered their fourth consecutive defeat in a seven-wicket loss to Rajasthan Royals. KKR, on the other hand, is coming off a break, having last squared off against the Delhi Capitals in an away clash on 30 March, a match that saw them lose narrowly in the Super Over. World No 8 Kidambi Srikanth, the lone Indian left in the Malaysia Open, takes on reigning Olympic champion Chen Long of China in the quarter-finals. Chen Long leads the head-to-head record having beaten Srikanth five times and losing only once. The pair haven't faced each other since the 2017 Australian Open when Srikanth won his only match against Chen Long. Amazon is officially joining the race to create a network of satellites in low earth orbit that will provide high-speed internet services. Amazon plans to launch a constellation of 3,236 satellites and has named this initiative Project Kuiper.